Please register if you are interested in volunteering to help plant trees at the National Conservation Training Center in Shepherdstown, WV. We appreciate any help. Position Description/Scope of Work: Plant trees around NCTC assigned property locations. This task will require moderate physical activity. 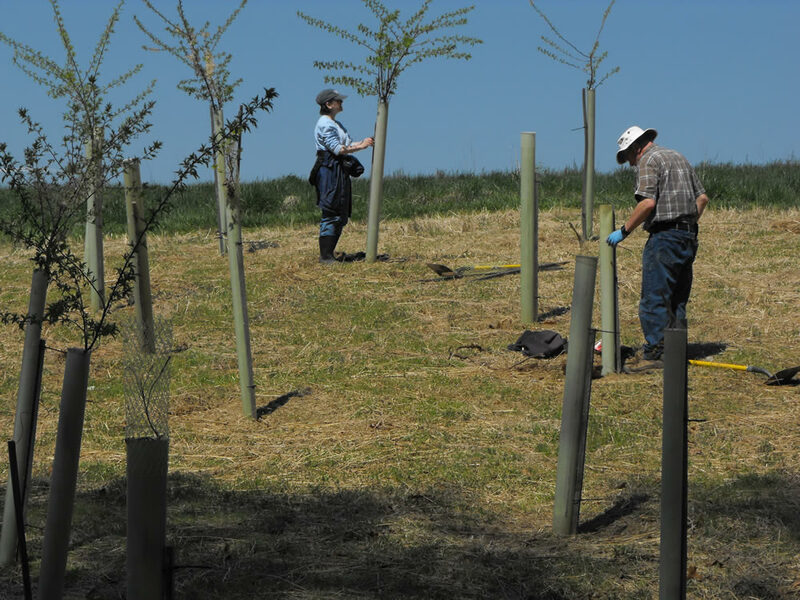 Planting trees have many benefits to land and environmental restoration efforts. Assigned Task: To plant trees on NCTC property locations as directed by NCTC land Manager Staff. Arrive at NCTC nlt 8:00am. (8:30am-12:00 Noon Tree planting Time period). Clearance through NCTC Security is required upon entry to campus. Proper ID must be provided upon request from ALL visitors. Park in Support Services parking lot. Meet NCTC Staff Team to complete paperwork if necessary prior to start of tree planting. Start/End date: Saturday, April 21, 2018 (In the Morning). Req./safety training: NCTC staff will conduct briefing. Skills required: Ability to work as a team and meet commitment requirements. Tour of duty: Group teamwork to cover designated area of NCTC tree planting. Commitment: Volunteers who are in good health and are able to tolerate normal outdoor activities such as walking and stooping. Job hazards: Wear comfortable shoes/boots, bring hat, long pants, gloves, water bottle. If inclement weather activity will be cancelled, NCTC will notify. Contact: Ora Dixon at 304-876-7314 or ora_dixon@fws.gov with questions. Your volunteer efforts will help to restore the forestry area of the National Conservation Training Center area and provide a much needed service. A special ‘thanks’ to each of you one and all.